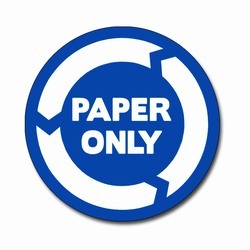 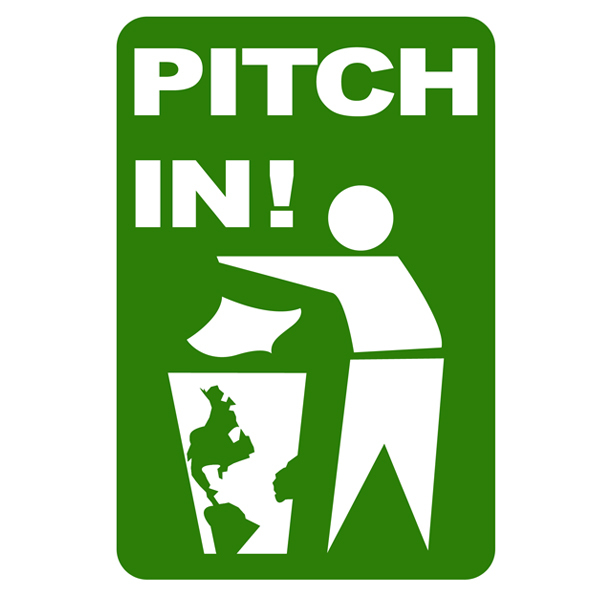 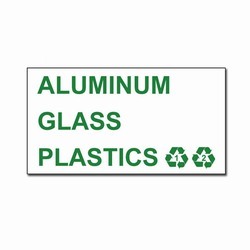 4" x 6" 1 Color Green Imprint on Sticky Back White Vinyl Recycling Decal. "Pitch In!" 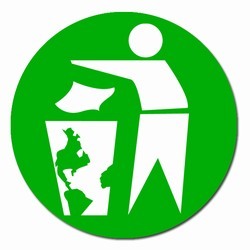 with man recycling in a proper recycling bin. 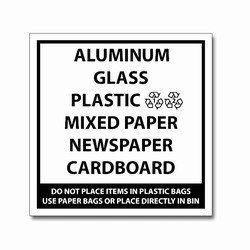 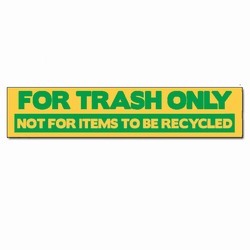 AI-rdbin143 - 1 Color FOR TRASH ONLY NOT FOR ITEMS TO BE RECYCLED Recycling Decal, Single Color Green Imprint on Yellow Vinyl, 3" x 16"
AI-rdbin120-01 - 1 Color Aluminum Glass Plastics Recycling Decal Green Imprint on White Vinyl, 2" x 4"